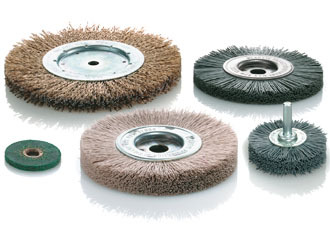 Once these circular brushes get rotating, they will have your production problems solved in no time. Whether for rust removal, cleaning, deburring or machining welded seams and removing hard scale or paint, these brushes will never let you down. Crimped and twist knotted circular brushes - perfect all round. 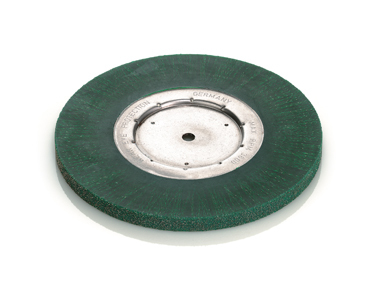 Crimped versions help with rust removal, cleaning, smoothing, polishing, matt finishing, paint stripping and roughening. Twist-knotted versions are used for welded seam machining and help to remove hardening scale and paint. Shaft-mounted circular brushes are ideal for use in drilling machines, flexible shafts, pneumatic grinders and stationary machines. They are capable of machining wide-ranging different surfaces, particularly in difficult-to-access locations. These brushes are also used for smoothing, cleaning casting seams and rubber-to-metal parts as well as for light deburring work and for removing corrosion and paint. Single ring brushes are available with different mounting bores and filler types, making them suitable for a variety of working widths. 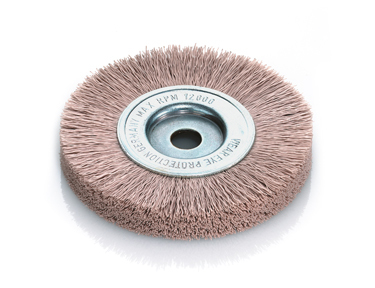 The brushes are particularly suitable for roughening and deburring as well as for removing oxide layers and paint. 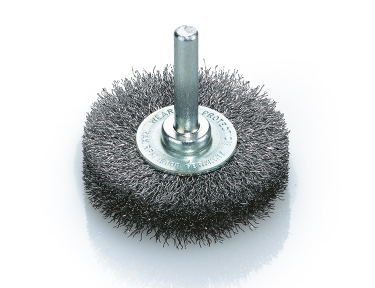 Plastic encapsulated circular brushes are wire brushes vulcanised in plastic and come in a variety of Shore hardnesses and grades of wire, depending on the intended application.